To celebrate us learning a bunch of new songs to include in our early evening acoustic sets, we’re giving away a gorgeous soprano, maplewood ukulele. To enter, please either share our facebook video to your timeline or tag someone you know in the comments, who’d love a great wedding band for their big day! Facebook informs us who’s shared the love and then we pop you into our prize draw. The winner will be drawn live on our facebook page on the 28th of October, 2019. Click on the giveaway below to either share the video or tag someone. Good luck! 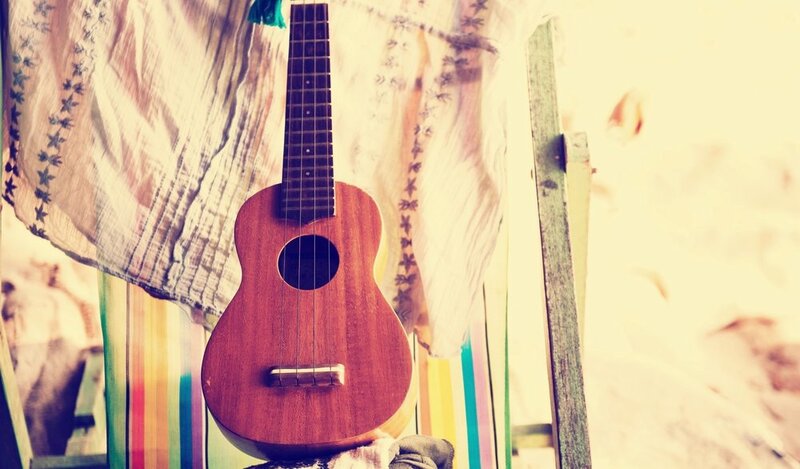 This special giveaway is for a hardwood soprano ukulele. It’s a real functioning instrument and not a toy, despite it’s cute and quirky size. Fun and musically rewarding for both children and adults to learn and play, it looks super cute hanging on the walls too, so we’ve included a wall mount with it. Good luck! We’re thrilled to announce that the winner of our giveaway is Mrs Gillian Leeks. Thank you to all of you who shared the love!